Summer is my favorite time of year especially when it comes to driving my car. There's something oddly satisfying about driving my car with the windows down and the music on full blast. I actually did that the other day when I drove to get a pedicure for myself - summer prep of course because I need to wear cute open toed shoes! Speaking of summer prep, you toenails aren't the only thing that needs to be prepared for the nice weather. 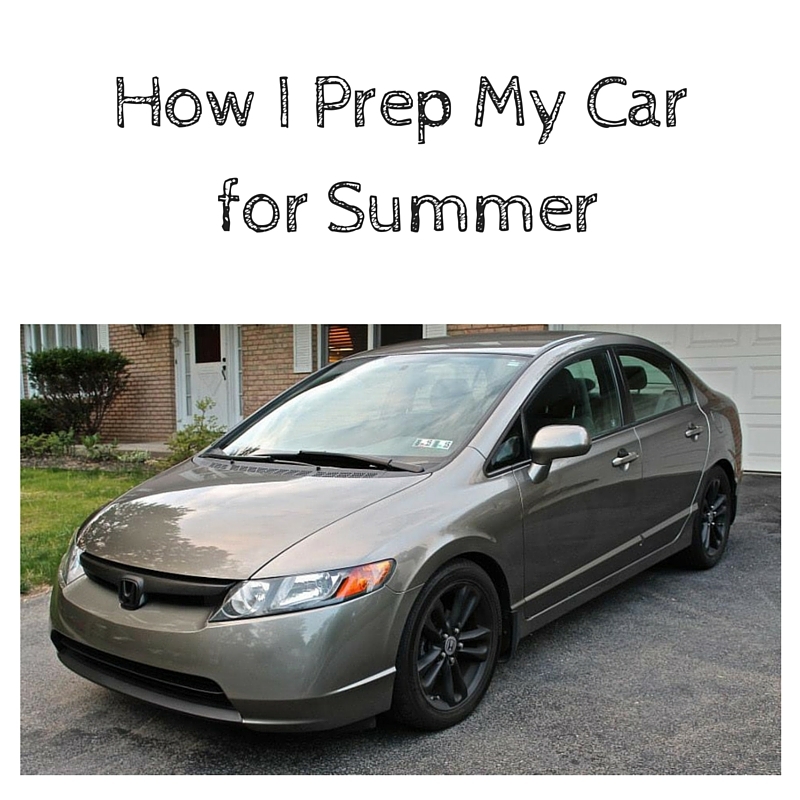 That's why I've put together a post on all the ways I prepare my beloved Honda Civic for summer time! Everyone wants to drive a nice shiny car so get out the hose and bucket or head to your nearest car wash. When washing your car make sure you take your time especially when it comes to rinsing off all the suds so you don't leave spots on your car. 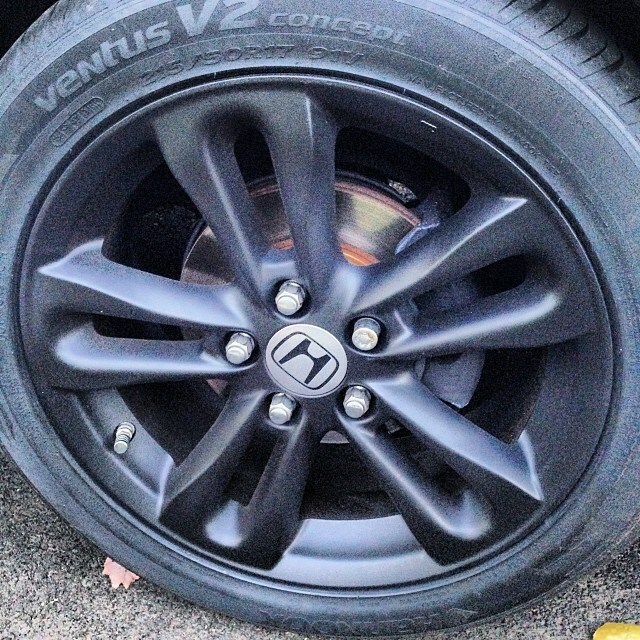 Also, pay attention to your wheels so you can clean any brake dust out of them. I also hand dry my car so that I don't have water spots. Trust me, the cleaner the outside of your car is, the more proud you'll be to drive it around this Summer. Did you know that some people literally never vacuum out the inside of their car? That's a scary thought. Just think of all the dead skin cells, hair, dust, dirt, trash, crumbs, and who knows what else that can be in there. No wonder some people are a sneezing mess when they drive!!! Start by dusting the interior surfaces like the dash and steering wheel with a microfiber rag. I then use water on a new microfiber to go over the dash again and get any residue and dirt off. This way all the dirt and dust can fall to the floor BEFORE you vacuum. Next, clear all the trash out from the inside of your car. If it can be pitched - PITCH IT! Then you can vacuum everything from the seats to the floor. I also remove my floor mats so I can clean under them. While you're pampering your car, this is a good time to check the oil level. Pop your hood and pull out the dip stick to check the levels. Make sure you're on a flat surface when you do this. Make sure your oil is at the correct level and consider getting an oil change depending on what your owner's manual says and when you last got one done. It's dangerous to drive around with low air pressure in your tires because you can pop one and end up with a flat tire on the side of the road. Check your owner's manual for the appropriate level and stop by a gas station to use their air machine to fill your tires to the correct levels. Remove the filter cover by loosening any clips or fasteners. Take out your old filter. Clean up any dust or debri left behind. Install new filter and make sure it's pushed in securely. Replace the cover and fasten into place. You can find FRAM Extra Guard Air Filters in the Automotive Section at a Walmart Store or Supercenter. Just remember that taking pride in your car will not only make it look better but it will make you feel better about it.